William Bell Scott was a poet and painter. He was the son of Robert Scott, and brother of David Scott – both involved in George Thomson’s collections as engravers and illustrators. Just like Robert and David, William was very much affected throughout his life by the loss in rapid succession of four of his older brothers. The family never recovered from the losses, and the remaining sons were brought up in a somewhat sombre, grave atmosphere. It was a “quiet, serious, industrious household” (John Batchelor, Oxford Dictionary of National Biography). William trained in the fine arts at the Trustees’ Academy. He was also very much involved in the literary circles of his time, and he met famous authors such as Sir Walter Scott, John Wilson, and Thomas De Quincey. 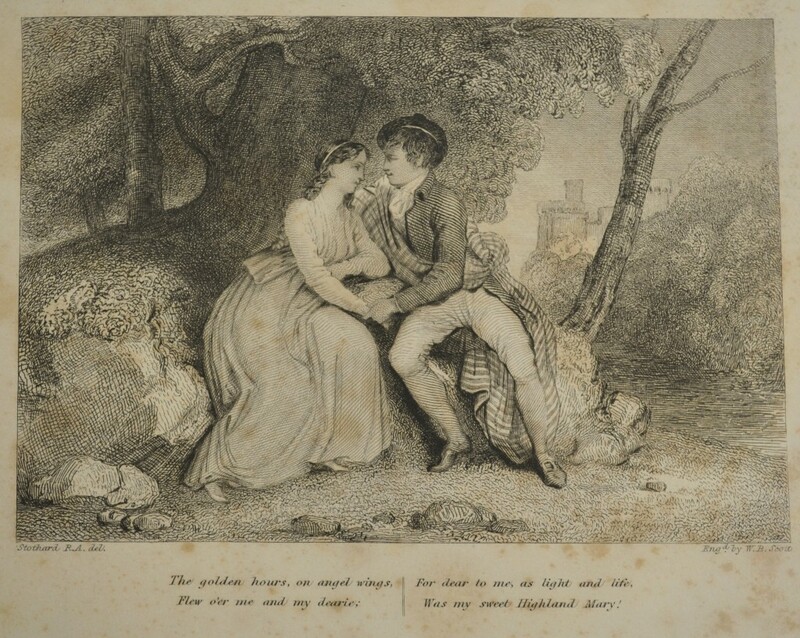 His poetic career began in 1831, when his first poem was published in Tait’s Edinburgh Magazine. In the same year he also exhibited two paintings at the Trustees’ Academy. In 1837 William moved to London to pursue his profession as a painter, but even there he kept his poetic skills active. He was close friends of the Rossetti family, and involved in the Pre-Raphaelite movement. His most generous patrons were Sir Walter and Lady Trevelyan of Wallington Hall; together they contributed to give new life to the reputation of the arts in Northumbria. William’s marriage in 1839 to Letitia Margery Norquoy was an unhappy one, though the couple never separated formally. In 1859 William met Alice Boyd, who had come to study art in Newcastle. Their relationship grew very close and she lived with William and Letitia, in a ménage à trois, until William’s death. He died of angina, on the 22nd November 1890.